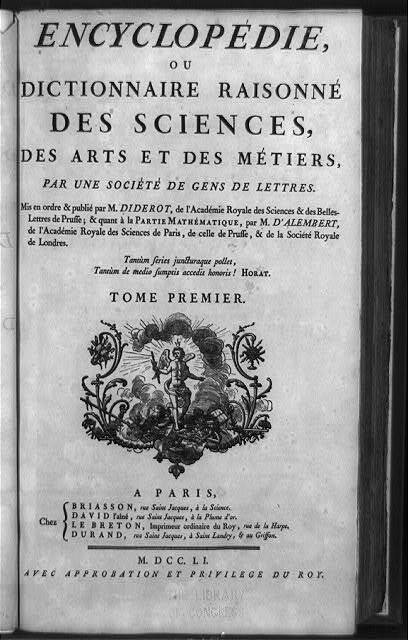 Title page of Diderot's Encyclopédie, vol. 1… (pub. 1751) Library of Congress Prints and Photographs Division.